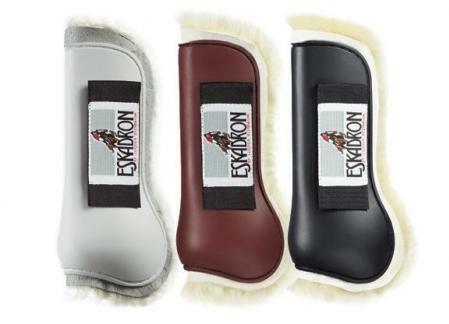 Eskadron's sheepskin lined boot is a superb open-fronted protection boot for jumping. The anatomically-formed hard shell; sheepskin lining; and elasticated Velcro fastenings give fabulous protection and fit. The sheepskin is an ideal temperature regulator. In a variety of colours including grey, green, pale blue. 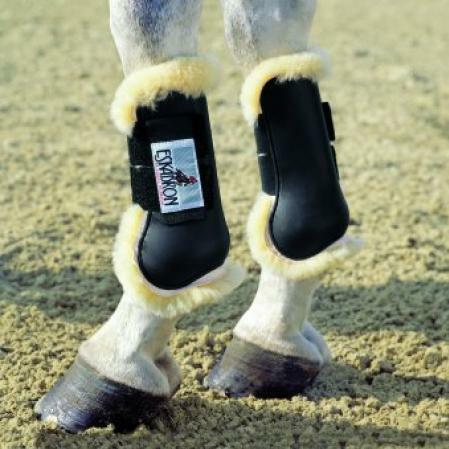 Co-ordinating hind and fetlock boots available. 5 stars Great product,stop the rubbing and also control temperature really well.Great fit aswell.